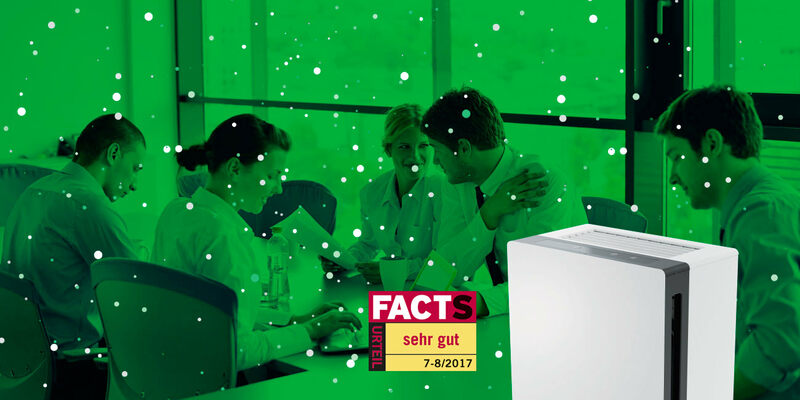 This is the title of a product test for our IDEAL air purifier IDEAL AP60 Pro, which was conducted by the test and business magazine FACTS and published in its 7-8/2017 issue. The editors conducted a thorough test of our new air purifier IDEAL AP60 Pro. Apart from its performance, this air purifier was also completely tested in terms of its operation, safety, appearance as well as its price-to-performance relationship and received the overall grade of “very good”.